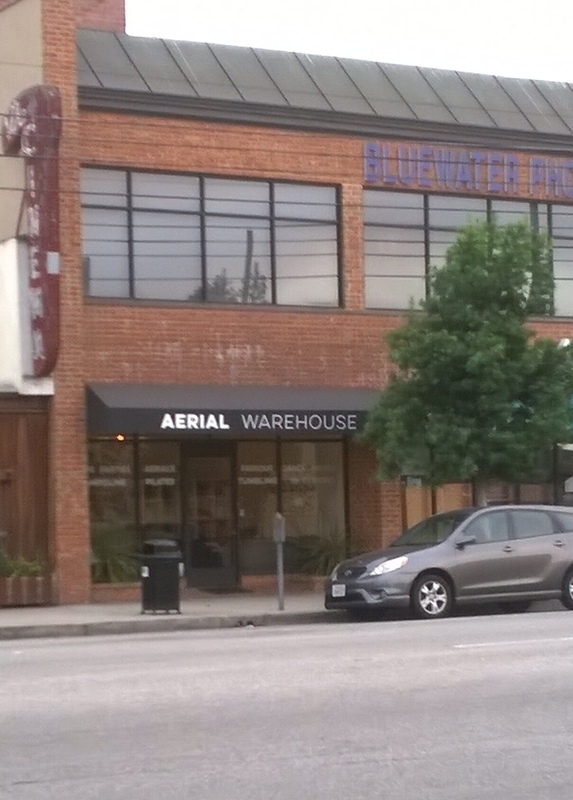 Aerial Warehouse is located close to the 405 freeway off of the Venice exit and wasn’t hard to find. There is accessible parking with both a lot and street parking. This was an all “grown-ups” class, which was good because I’m sure a child could school me in this scenario. Classes are kept small so that the instructors can closely monitor you and ensure your safety. I quickly filled out the short waiver and met my group, pleasantly surprised to discover that all my classmates were ClassPassers! Our teacher, Austin (check out his Instagram, @parkourausting), was kind, patient, and had a great sense humor. He reminded us to stretch and warm-up in whatever way felt comfortable because we know our body’s best. First Austin set up a small obstacle course consisting of two soft vaults (which we climbed and eventually learned to jump on/over) and two small booster squares (which we jumped over). We learned the technical ways to land and jump to give our body the best support and to increase speed. We did this set different ways to warm up. I thought, this is it, right? We then climbed up and over to the tumble track and learned to roll both gymnastically and parkour style. Let’s add tumbling to the gymnastics moves I’m not good at. We then learned to stick a landing (I was so glad that everyone was a novice and the air there wasn’t competitive). Austin had us jump from a platform to get to our next activity and afterwards I said to my classmate- were you as scared as I was? She agreed, but then we both became more nervous for the next challenge. 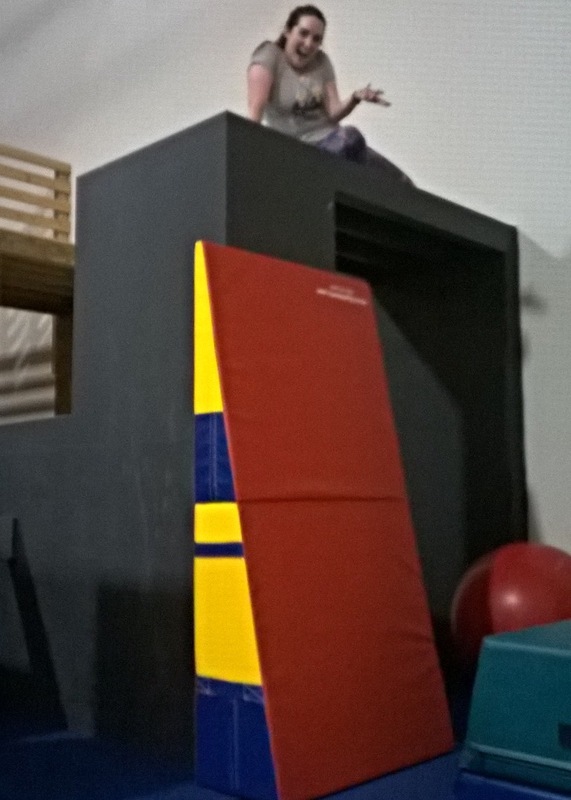 We would jump from a vault onto a wedge mat on a 10 ft. wall, then scale said wall. Holy Guacamole, have you ever asked yourself to basically run into a wall??? Austin was great though, talking us through the details, the thoughts that might have crossed our minds, and encouraged us to just do it. And we did. I cannot believe I did it (thank goodness I have evidence!). 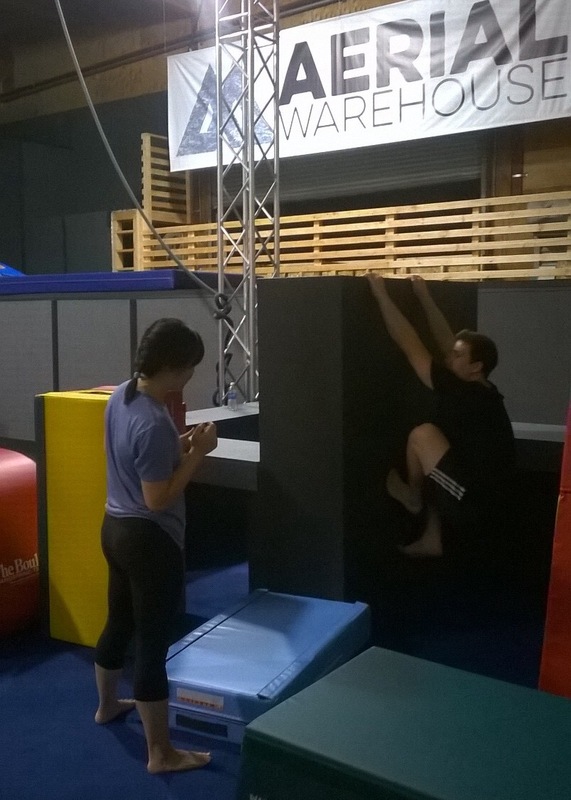 Finally, as a slight reward we got to try our hands at the tramp wall. Many of you have seen this act in Cirque Du Soleil- you bounce so high on a trampoline that you can physically walk up a padded wall, and then fall back to earth again. It will take many classes for me to learn this awesome skill, but I will keep trying! There are many restaurants close by including Tito’s Tacos, Sage Vegan Bistro, and Chipotle. Samy’s Camera is also nearby (for you film aficionados) and Culver City Mall is within a short drive. It’s okay to be scared! But I was so glad that I faced my fears and felt so accomplished afterwards. If you have any injuries or weaknesses, speak up; safety comes first! Wear clothes you can really move in. Bring a water bottle! They have water fountains there. 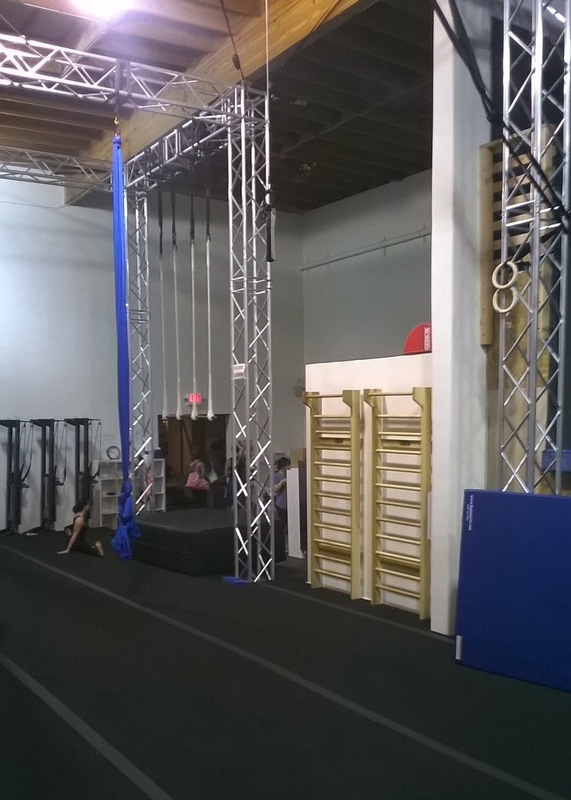 Aerial Warehouse offers a variety of classes including aerial arts (various apparatus), dance, and tumble/trampoline. 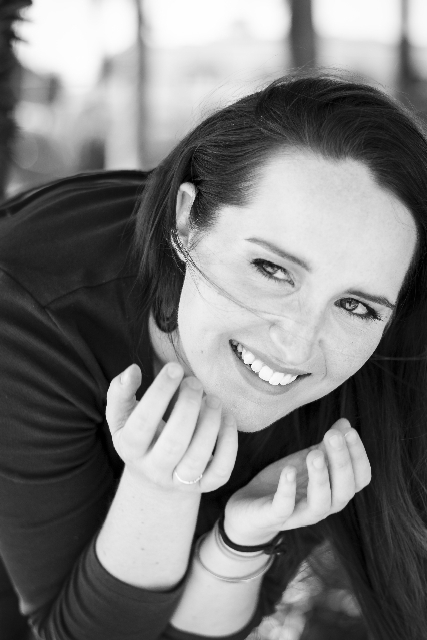 My kids do parkour and I’m so impressed my how fearless they are! Good for you for facing fears.